Once again TABELEK are able to offer all stages of assembly using conventional components. We are able to hand assemble and solder small batches or boards requiring particular attention. 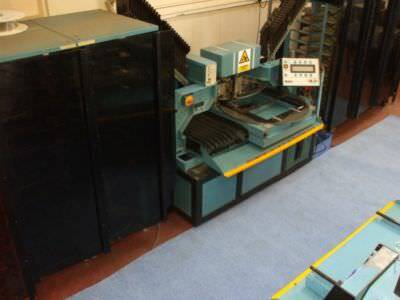 To aid with larger quantity production we have several fully automatic axial insertion machines. Once again all the tooling and programming can be provided. 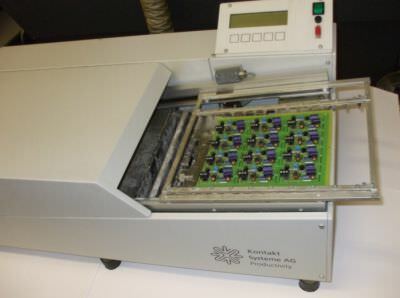 To compliment this fully populated boards are passed through one of our flow solder machines. We are able to offer a fully compliant ROHS assembly service, or if required leaded soldering is still possible. We always use a low solids flux for all soldering processes, leaving virtually no residue on the board. If required full cleaning of the PCB can be undertaken if required.